State Education Commissioner Michael Johnson said it’s time to review how the state funds public schools. On Wednesday, Johnson was asked about the school funding formula at a Senate Finance Committee hearing on whether he should be designated as the successor to Lt. Gov. Kevin Meyer if one is needed. It’s not clear how public schools will be affected by Gov. Michael Dunleavy’s revised budget. Dunleavy is scheduled to introduce the budget on Feb. 13. Johnson also said he was consulted by Dunleavy’s Office of Management and Budget about a controversial $20 million proposed cut in school funding in the current budget. “As commissioner of education, I support the governor’s proposed supplemental budget,” he said. Johnson said in response to another question that he didn’t consult with school districts before the $20 million cut was proposed. The sudden resignation of Byron Mallott as lieutenant governor in October focused attention on the process for choosing a successor to the position. Former Health and Social Services Commissioner Valerie Nurr’araaluk Davidson succeeded Mallott. 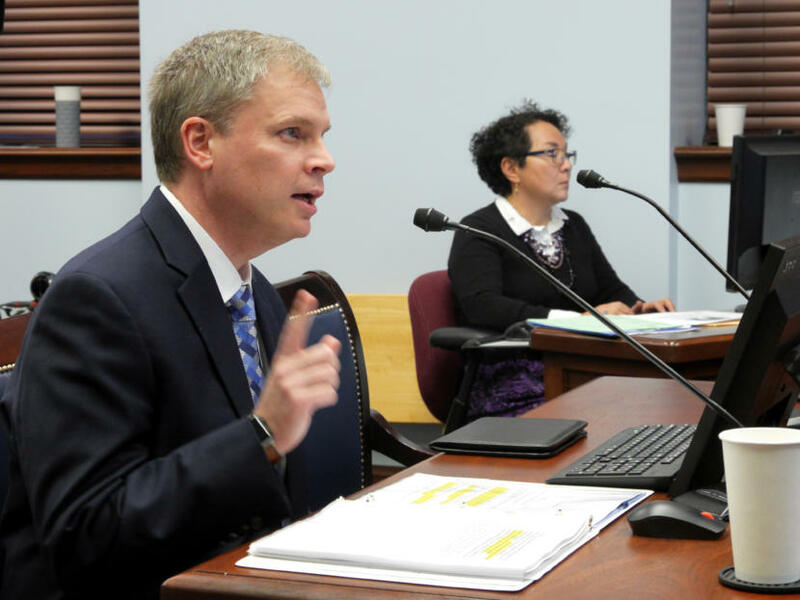 The Legislature must vote on the designated successor in a joint session on Dunleavy’s appointments.